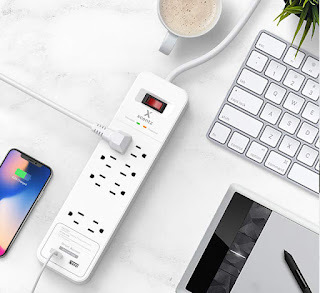 Nite Owl Creates: Win a Surge Protector Power Strip WITH USB Ports! 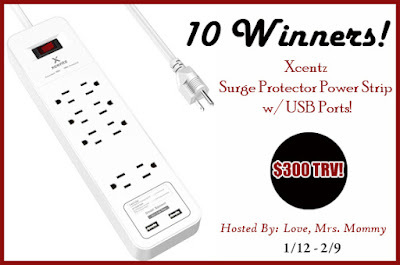 Win a Xcentz Surge Protector Power Strip w/ USB Ports! ✔All in One Power Supply: 8 outlets and 2 smart USB charging ports (5V/2.4A) power an entire workstation and home entertainment center. ✔ Surge Protection & Lightning Protection: Three-wired protective technology protects your devices safe from high voltage. ✔ Heavy Duty Extension Cord: Long heavy duty cord, ideal for home or office workstations. Heavy duty cord protects your device safe and last longer than others. 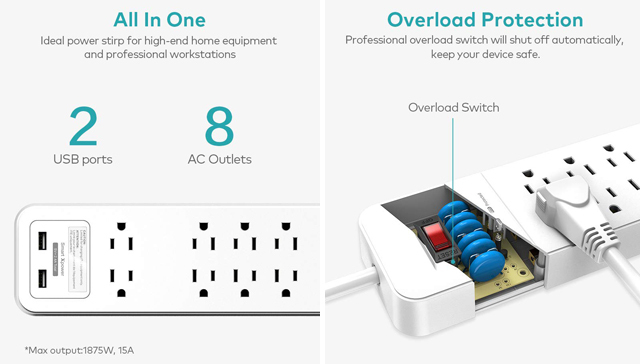 ✔ Superior Safety: Overload switch will shut off automatically to keep your device safe. The premium copper and frame retardant casing provide superior protection for your devices. ✔ Built to Last: ETL / UL listed and FCC certified, guaranteed quality. Our products are built to last, which is why we offer an industry-leading 18-month, no-questions-asked. Please feel free to contact us and we will give a satisfied solution within 24 hours.